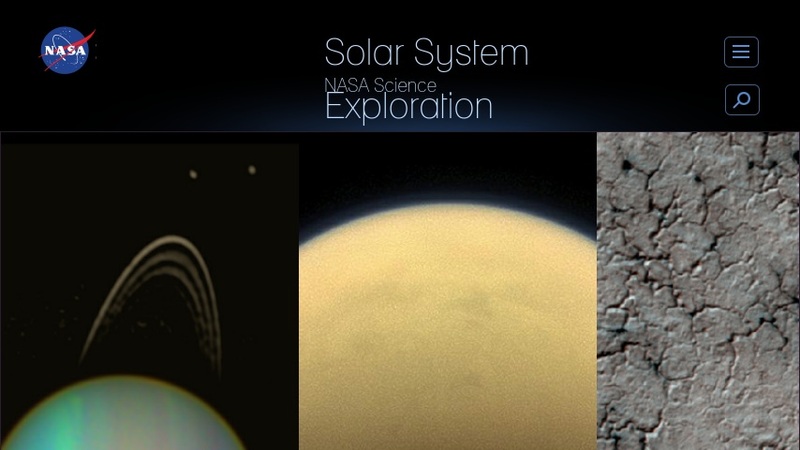 This site provides information on the planets, moons, and other objects in the solar system, and the space missions conducted to study them. Materials include an interactive illustration of the solar system that provides descriptions, facts, and links to resources on solar system objects, and a search tool that lets users find information about planetary and solar system missions by name, decade, target, and nation. Mission information includes a brief history, fact sheet, key dates, and links to additional information and mission-specific websites. The kids' page features interactives, activties, models to build, and a gallery of kids' art. The education page features curriculum materials and resources for museums, planetariums, and scientists. There are also news articles and event announcements, an multimedia gallery with photos, video, and interactives, and profiles of NASA scientists.